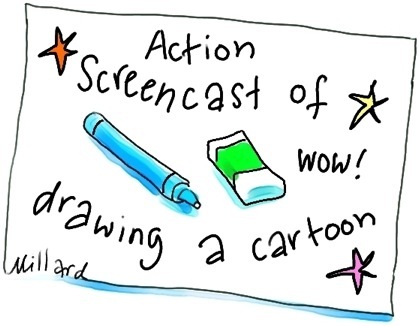 As an experiment today I made a screencast while drawing a...well, you’ll just have to check it out...Click on the picture below and the magic of technology will let you experience exactly what I experience when cartooning! Note: I was well aware of challenging Newton’s first law of motion. However, SOMEBODY has to do it.